Stay at Serenity with the Euro 2016 Football Fanatics offer! 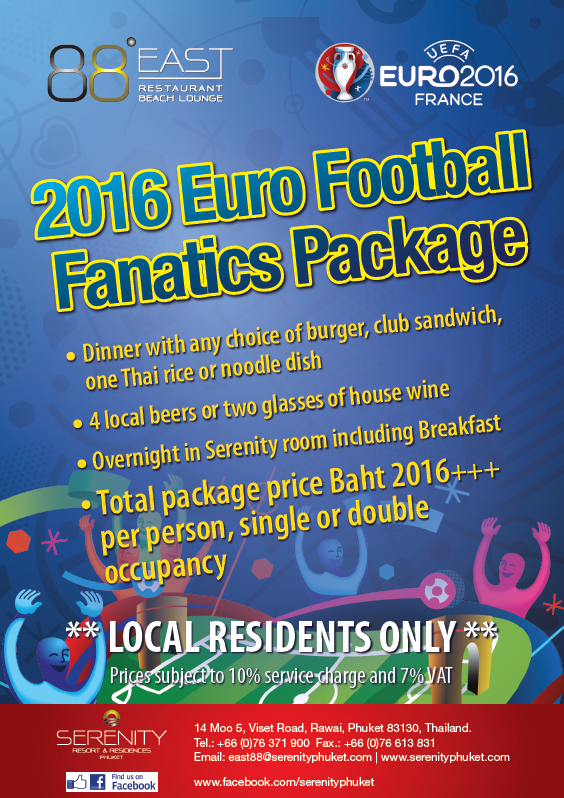 To celebrate the launch of the East 88 Restaurant and Beach Lounge and the start of the Euro 2016 Football competition, Serenity are launching the Football Fanatics Package for local residents of Phuket! Enjoy a delicious dinner with any choice of burger, club sandwhich or a Thai rice or noodle dish, 4 local beers or two glasses of house wine and an overnight stay in a Serenity Room (including breakfast), all for just THB 2,016+++. 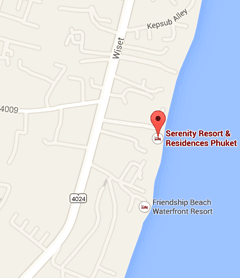 Enjoy all the Euro 2016 action and support your team live on big screen TV at the East 88 Restaurant & Beach lounge with tempting beverage offers, delicious snacks all set poolside at the beach front location at Serenity Resort & Residences Phuket. To book the Football Fanatics package, either contact our reservations department at rsvn@serenityphuket.com or book online here.